Juliet Eve is the Principal of the Façade Academy of Face and Body Art – now celebrating its 12th anniversary – and heads up a team of award-winning painters. She has been face and body painting professionally since 1991, running her successful Façade Face Painting company in Hertfordshire. She is the FACE Face Painter of the Year 2017. She has been in demand teaching both individuals and groups in face and body painting skills for more than 12 years both in this country and abroad, notably in Norway, Ireland and Switzerland. As an instructor, she has attended the World Body Painting Festival, the UK Face and Body Painting Convention, Paintopia and the FACE conference, plus demonstrating and judging at numerous face painting events and conventions. Juliet has also been invited to teach in universities and colleges around the country delivering CPD training to the lecturers. As well as teaching Henna Decoration, Glitter Art and Tribal Tattoos, she also turns her hand to painting murals, for both interiors and exteriors. 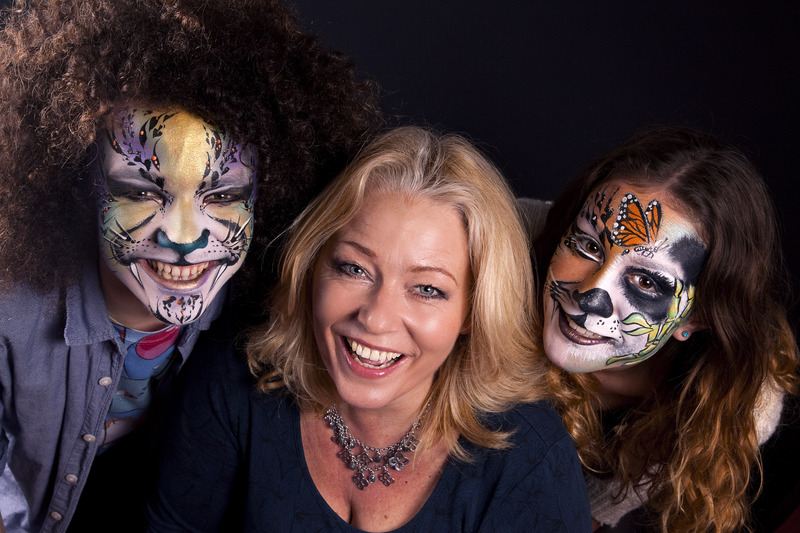 Juliet has competed successfully in many face and body painting competitions – both as sole painter and with her colleagues Zoe Thornbury-Phillips, Heather Sharp and daughter Philippa. She has won the UK Body Painting Festival in 2010, 3rd in the Body Factory competition in 2011, 1st place in the Welsh Body Painting Festival in 2009, and achieved 10th, 11th and 25th place in the World Body Painting Festival in Austria on three occasions. Numerous face-painting competitions awards include the Best Design in the FACE Face Painter of the Year in 2012. This year, she won first place in the FACE Competition by Post and second in the 20 Minute Competition to take the title of Face Painter of the Year 2017. 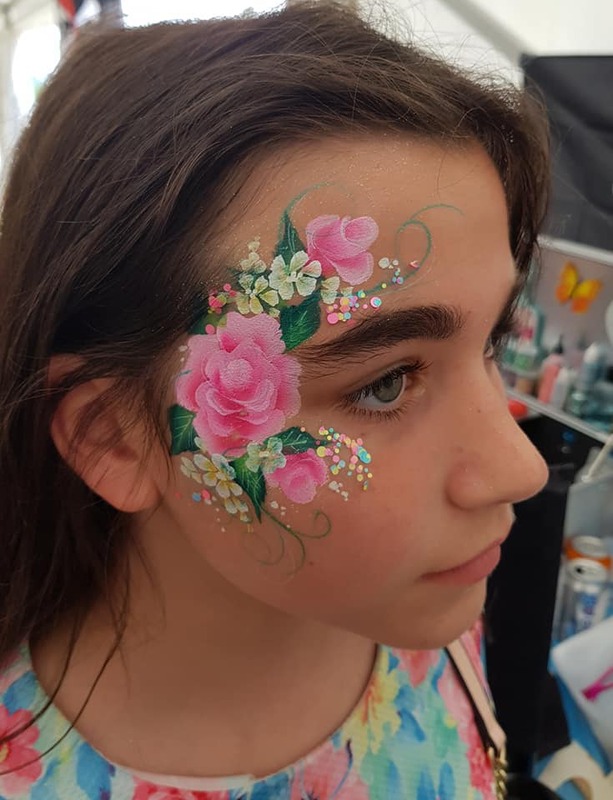 In the past eight years, she has been the Resident Face Painter at Paradise Wildlife Park making her name with fast and yet top quality designs. She is also proud to be the first member of the International Face Painting Association FACE to achieve Level 3 ranking. Juliet’s two grown-up children have patiently modelled for her over the past 20 years. Her daughter Philippa Eve Walker has also followed her into the family business and is now threatening to overtake her mother! Several of our classes are taught by guest instructors. At the top of their game, they are all highly respected and award-winning artists, as well as being experienced and effective teachers. Tina Young trained in Makeup in 1997 at the Christian Chaveau school in Paris. Since graduating she has worked professionally in many areas of makeup. 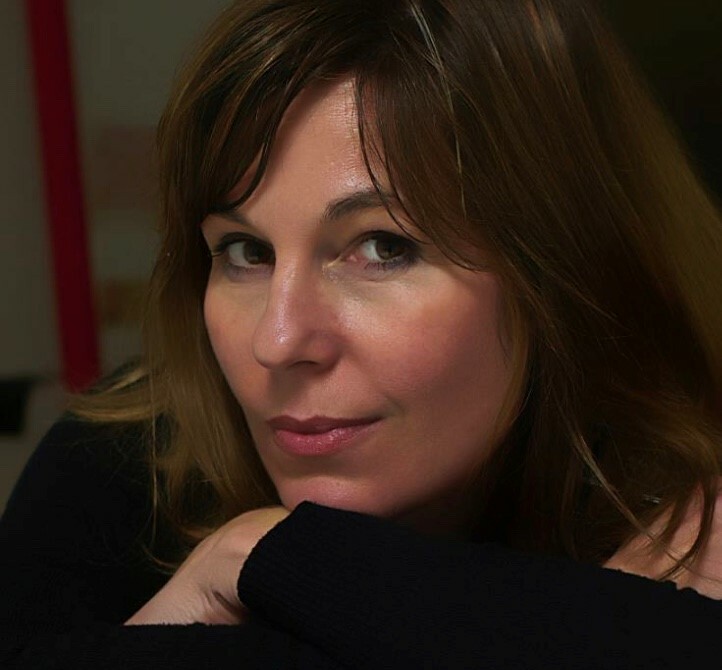 She currently works in stills and TV commercials, everything from Advertising, Film and Beauty to Celebrity Portraits and Fashion. Clients include Rolls Royce, H Samuel, Ernest Jones, Canon, Thomson Holidays, Panasonic, Santander, Suzuki, Lynx, Burger King, Virgin Active, Kyra K, Vidal Sassoon, Range Rover, Novotel, Experian, PayPal, Roche, The BBC, Channel 4 TV, Sky, & ITV. Tina will be teaching our specially-designed Make-up for Face Painters class. Zoe has taught and assisted on many of the Academy’s modules and especially enjoys starting beginners on their face painting journey. She is a very experienced and talented painter who has won numerous awards. This autumn, Zoe will be teaching Foundation Modules 1 & 2 and Module 5 Monsters and Super-heroes. Sara has 12 years’ experience working professionally as a face and body artist for some of the UK’s leading festivals and corporate companies, as well as working at parties and creating one-off works of art. Sara has a particular love of natural and botanical forms, historical folk art, and highly decorative styles; her delicate and precise style is perfectly suited to our Module 4 Flowers and Flourishes, which she will be teaching this autumn. Clare has been painting for 9 years, and in that time has received awards for face and body painting, including 2nd place in the FACE Face Painter of the Year 2017, only being pipped by Façade principal Juliet! 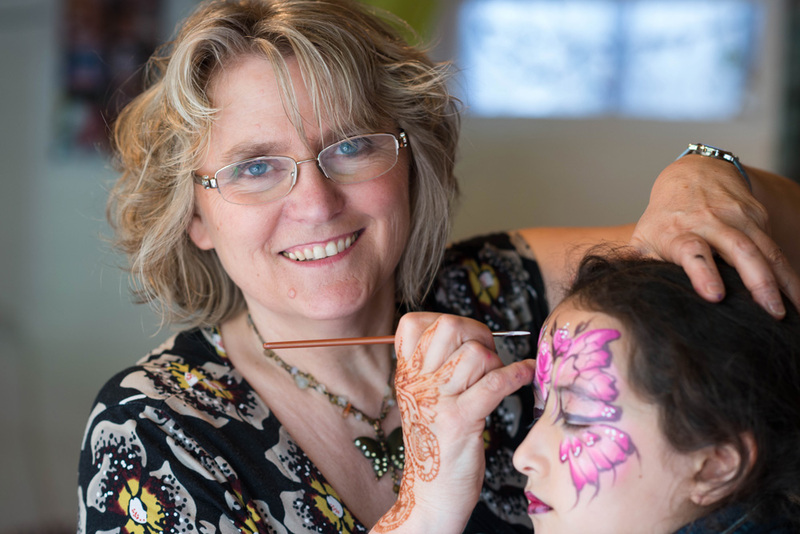 She is a proud member of The International FACE Painting Association, for whom she is the South East area rep. She is looking forward to teaching our One-Stroke Breakthrough module this autumn. As well as our regular classes, we host visiting instructors who are internationally recognised as masters in their field. Over the years we have arranged visits by such eminent painters as Nick and Brian Wolfe, Mark Reid, Richard Nijboer, Alex Hansen and Dutch Bihary. In the pipeline we have visits from Monique Lily and Nurit Pilchin. Façade Academy's face painting and body painting classes take place in Hemel Hempstead, Hertfordshire, UK. Hemel Hempstead is situated close to J8 on the M1, just north of the M25. It is well served by mainline rail from Euston and National Express coaches. Each venue is booked taking into account the requirements of the specific class. 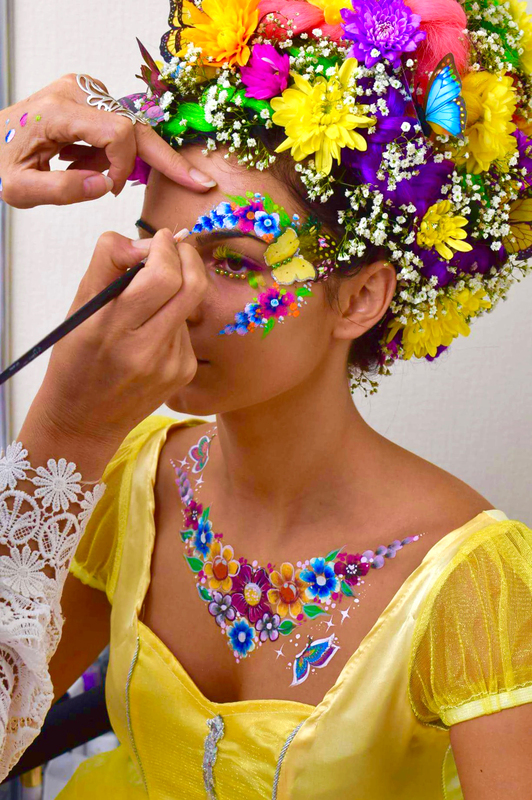 Many people and organisations choose to arrange face painting instruction at their own venue – Façade Academy and instructors are always willing to travel around the UK – and the world! So, if you have a group of nursery staff, volunteers from your school’s PTA or a team-building event, we’ll roll out the tour bus! We offer a free place for organisers of groups. Contact Juliet for more information.